I got this started with last year's Class 2 Jeep underbody. 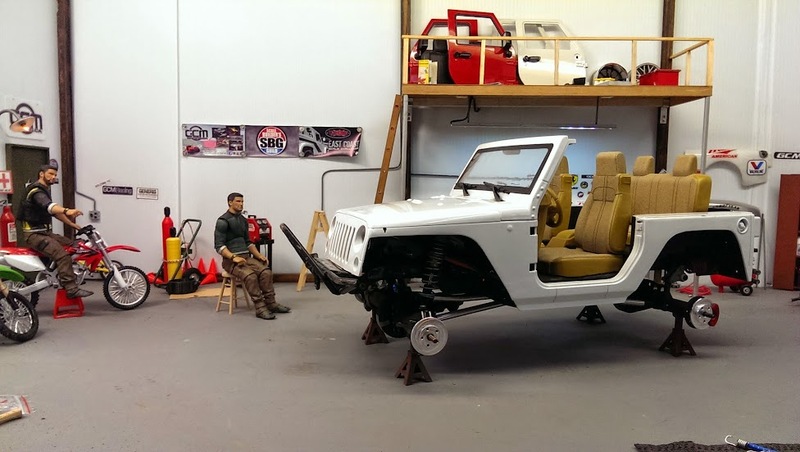 It's a GCM Skeleton J2 Chassis combo with a 35t brushed motor, Tekin FX-R esc, and HeyOK light and winch controller. 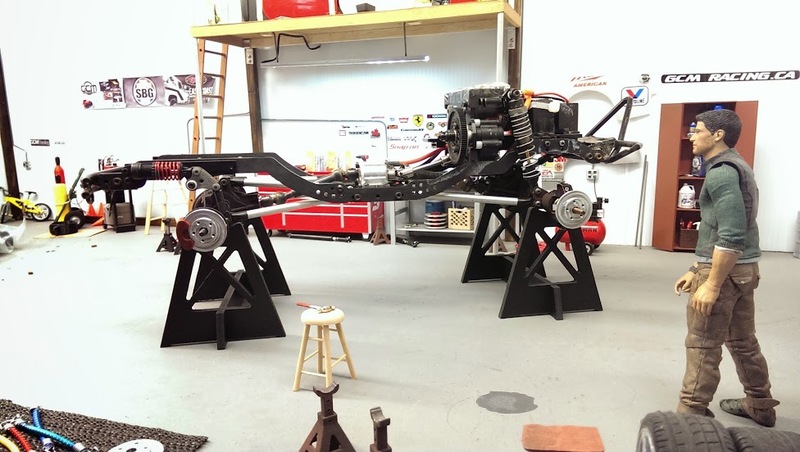 Sam put on some GCM TerraMod axle housings, and fixed the rear brake calipers while he was at it. The undercarriage is totally self contained, so there's a full running drivetrain and electronics already in the thing, so... like I learned from Rick.... it's cool to have a bunch of bodies to use over the same basic frames. This is one of those times, and I'm really happy to drive this truck with my other bodies also. The DSTP build here will use the fantastical painted body Andy (lappdogg) did for me earlier this year. It's a China JK 2dr, but with no doors, and perfect paint.. inside and out. I added a set of PitBull Rock Beast tires to get it started. I think I may switch it for Fun Country tires instead... still to be determined. The rims are the Detroit BL variety, 1.9 sized. I'm confused. You put 1.9 Class 2 tires on a DSTP truck? 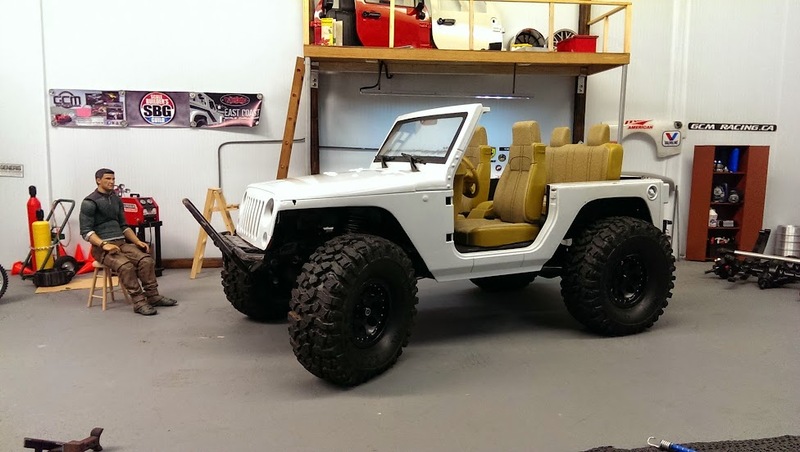 I can see another good looking jeep is coming! Jeep for a DSTP ?!!!! and with a stinger bumper?! Garage looks great! 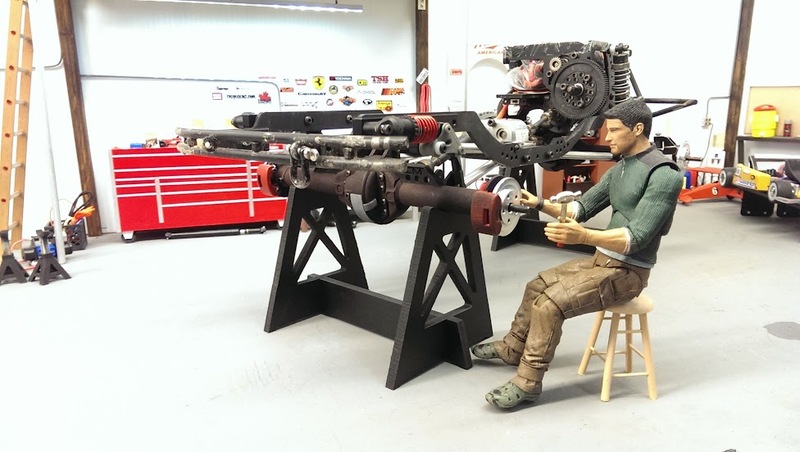 Awesome axles!